ZWILLING J.A. HENCKELS forged Kitchen Shears handle every kitchen cutting task with ease. 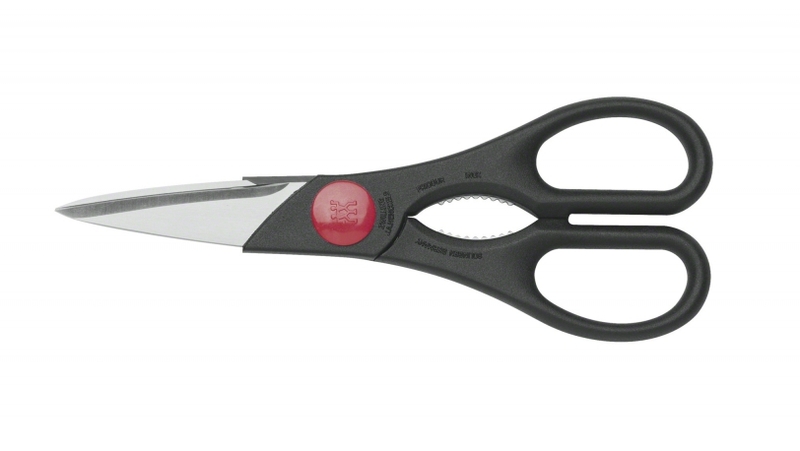 Whether snipping herbs, cutting foods or safely opening packages, these shears are up to the task. Each set is assembled with a screw for precise blade movement and ease of sharpening. All ZWILLING J.A. HENCKELS kitchen shears are dishwasher safe. FRIODUR®: High-quality stainless steel is further refined in a special ice-hardening procedure. Ice-hardened scissor blades provide exceptional cutting edge retention and corrosion resistance.